I am in the middle of a little bout of unemployment. I have some part-time work I have been able to do on the side, but mostly I am without work. While having mini adventures during this time makes me feel guilty, so does sitting around looking for jobs and not finding anything. So a few weeks ago I decided to travel out to Darke County, Ohio. I believe it was a Tuesday. Much of my family came from Darke County and the surrounding areas. Oddly enough, Andrew’s mother’s side also had a chunk come from the same area. I have looked hard to make sure there are no overlapping relations. We’re all good here, kids. I have a grandmother still in Dayton and I can’t tell you how many times I have driven to Ohio on I-70. I wanted something more scenic, so I had an amazing drive across State Road 36. I picked it up in Pendleton and took it almost all the way to Greenville, Ohio. It was humid and early when I left which created this beautiful haze over the massive sprawling yards and farms almost the entire duration of the trip. Taking 36 was a fabulous idea. Good job, me. I got to Greenville just in time for lunch and had a lovely meal at Bistro Off Broadway. They did give me a weird look for eating alone, but maybe I was being self-conscious (but I don’t think so). I headed to Garst Museum, an amazing little museum for the history of Darke County. This is also the place where one researches the county’s family histories. It’s the place to be. When I walked in I paid my $5 and was told that there were two exhibits going on at the museum, one on Annie Oakley and one on Lowell Thomas. This was great! Annie Oakley is actually of distant relation to Andrew! 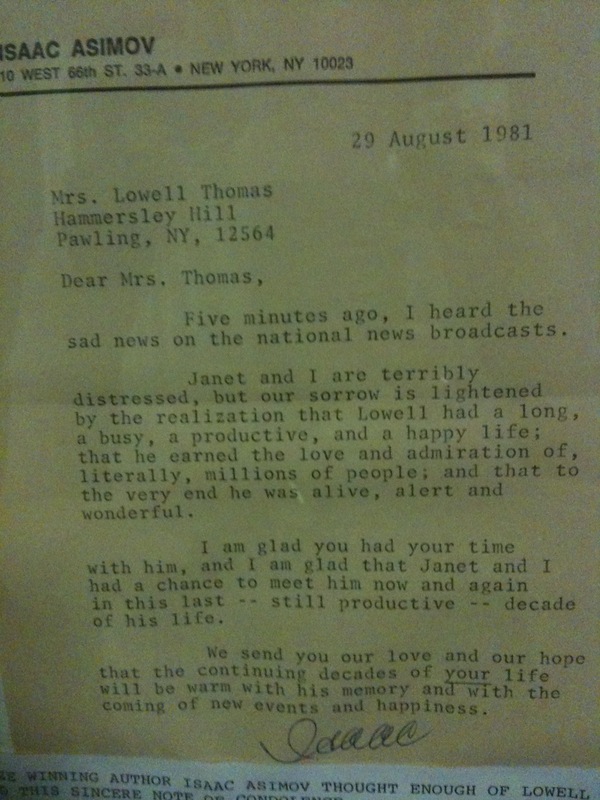 Lowell Thomas was actually my great-uncle (by marriage)! I decided that I should get started on research first. A small, fast-speaking, older woman gave me the instructions on how to begin. Write down the surnames you are researching. Oh….hmmmm….lots? It didn’t occur to me that I couldn’t just sort of browse and have things come to me. My father’s side of the family and Andrew’s mother’s side have so many families from that area I wasn’t sure where to begin. 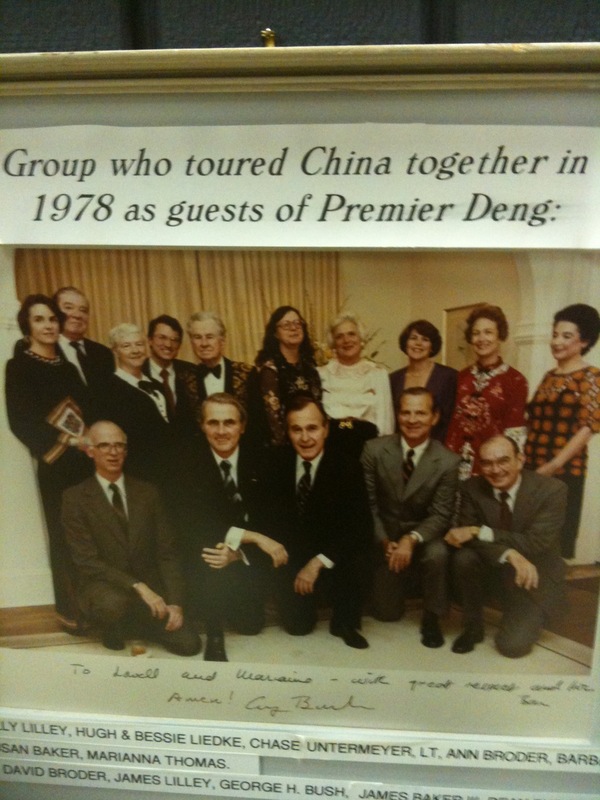 I started with just two surnames on my side, Brown and Munn, and then one surname for Andrew’s, Bollinger. I started with these names because I actually know people with these names. I thought it might be a little easier. I only had four hours till the museum closed for the day. I started with Browns. BAD IDEA! I could spend an entire day on just the Browns. TONS of information. This was my first trip to a research facility to work on just family history. I realized how much more information I could get if I travel. Man…I have found the best hobby EVER. There was only one other person who was in there the majority of the time with me. About two hours into my research he says to me, “You’re not supposed to take pictures in here.” He did this mid-snap. I gasped. I’m not generally a rule breaker. “Oh, but I thought I was allowed!” And then he laughed at me and said he loves doing that. Turns out I really wasn’t supposed to be taking pictures, but I don’t think he cared. I didn’t read the instructional sign correctly. Woops. The writer left. I was alone again for a while and dug through folders till it was time to pack up. I decided that I wanted to take a look at the museum’s exhibits before I left (I HAD paid to get in). I walked through Annie Oakley’s and realized there was much too much to see in the 15 minutes I had. Seems she was an amazing lady. A good shot, anyway. I walked into the next room and found a room dedicated to an exhibit of Lowell Thomas. That’s the truth. I was always suspicious of exaggerations, and assumed that this was one of my father’s. But this is the truth. My great aunt Marianna, a very interesting, friendly, and lovely lady who passed away earlier this year, married this Lowell Thomas in the 1970s after his first wife died. She had also been previously married. He didn’t live much longer and died in the very early 1980s. If I ever met him (doubtful) I would have been much too young to remember such things. As I walked through the exhibit there were pictures of my Aunt Marianna in her younger years with this Lowell fellow. Honestly I don’t remember ever seeing any of them before. 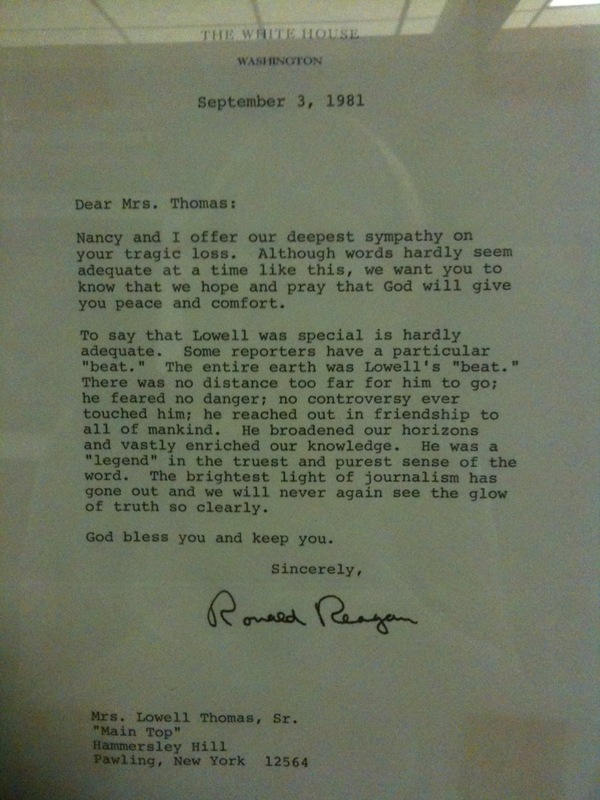 I turned a corner and there were condolence letters written to her upon his death from an assortment of characters: Ronald Reagan, Art Linkletter, Isaac Asimov, and even Erma Bombeck. It was a little surreal.